Rahul Gandhi while speaking in the Parliament during no-confidence motion had said that the Congress wanted to bring petrol and diesel under a single-rate GST. Currently, crude oil, natural gas, diesel, petrol and aviation turbine fuel are out of the new taxation system. A day after Rahul Gandhi accused the government of not bringing petrol and diesel under the GST, Union Minister Arun Jaitley today reminded the Congress President that it was the UPA which did not include - while proposing GST amendment to the Constitution - petroleum products under the new taxation system. He said: "Is he (Rahul Gandhi) unaware of the fact that the UPA proposed GST amendment to the Constitution never included petroleum products as part of the GST? It is only the NDA which brought it within the GST with tax to be levied once agreed by the GST Council." Moving on to Rafale issue raised by the Congress President on Friday, Arun Jaitley today said that Rahul Gandhi concocted a conversation with French President Emmanuel Macron and by doing so he has lowered his own credibility and seriously hurt the image of an Indian politician before the world at large. "Not to be aware of the fact that UPA Government Minister had signed the secrecy pact is not understandable. He now seeks to embarrass Dr Manmohan Singh by implicitly insinuating that Dr Singh was a witness to the conversation being wholly unaware that his own government had entered into the secrecy pact," the Union Minister said in a Facebook post. "Rahul has repeatedly shown that he is ignorant of facts. But to insist on disclosure of financial details, which indirectly involves the disclosures of the strategic equipment on the aircraft, is to hurt national interest. Cost gives away a clue to the weaponry in the aircraft," the Minister said. He was responding to the Congress President's charge that the government was lying to the nation on the issue of sharing details of the Rafale jet deal. Addressing the Lok Sabha during no-confidence motion against the Modi government, Rahul Gandhi said that the French President had in a personal conversation told him that there was no problem in sharing details relating to the Rafale deal. However, hours after Gandhi's comments, the French Foreign Ministry said that France had signed a security pact with India in 2008 which legally binds the two countries to protect the classified information which could impact security and operational capabilities of the defence equipment. 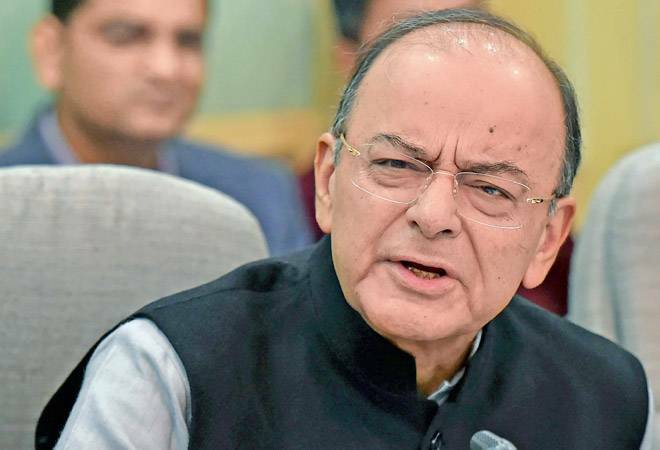 Explaining the significance of a no-confidence motion, Arun Jaitley said that a vote of no confidence against the government is a serious business. "It is not an occasion for frivolity. The lead participants in the debate are normally senior political leaders. They are expected to raise the level of political discourse. If a participant happens to be a President of a national political party nourishing Prime Ministerial aspirations, every word he speaks should be precious. His facts should convey credibility. Facts are always sacrosanct. None should ever trivialise the debate. Those who desire to be Prime Minister never blend ignorance, falsehood and acrobatics," the Minister said. In September 2016, India signed an inter-governmental agreement with France for procurement of 36 Rafale fighter jets at a cost of around Rs 58,000 crore - nearly one-and-half years after Prime Minister Narendra Modi announced the proposal during a visit to Paris. The delivery of the jets is scheduled to begin from September 2019. The Congress had raised several questions about the deal including the rates, and accused the government of compromising national interest and security while causing a loss to the public exchequer. It has alleged that the deal negotiated under its rule was much cheaper than the contract signed by the Modi government. The government has been refusing to divulge details of the deal citing confidentiality provisions of an Indo-French pact of 2008.